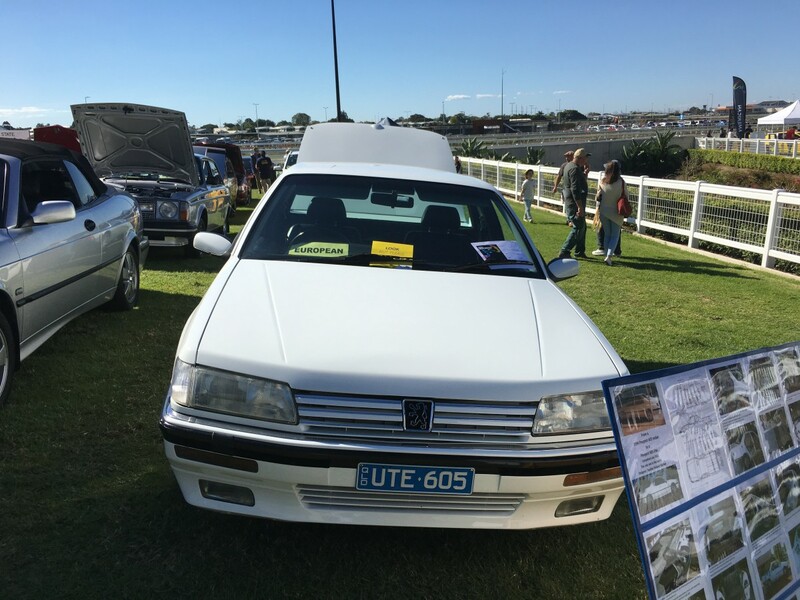 I would’ve been impressed enough to see a regular 605, Peugeot’s oft-forgotten luxury flagship from the 1990s at this year’s RACQ MotorFest. I can’t remember if I’d ever seen a 605 sedan on the road but I’d certainly never seen a 605 ute. 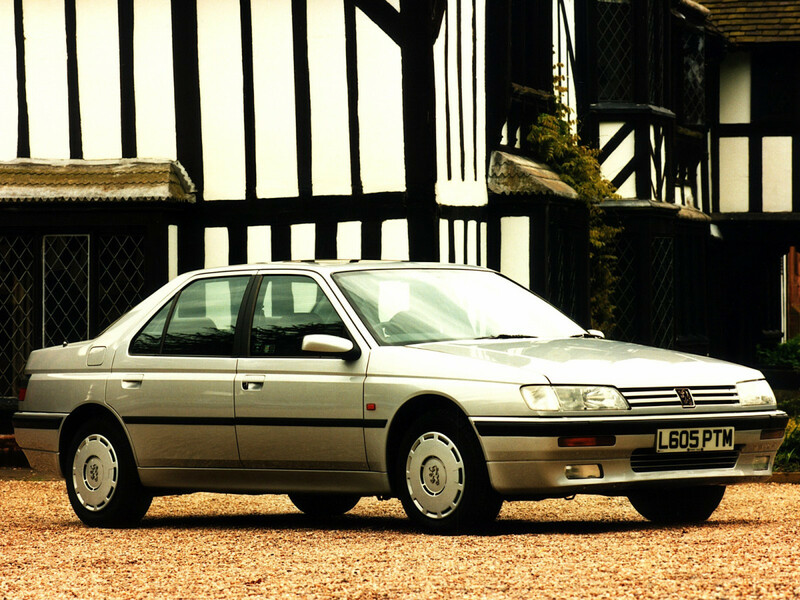 This is almost certainly the world’s only pickup conversion of a Peugeot 605. This is what a 605 normally looked like. Designed by Pininfarina, the 605 was launched in Europe in late 1989. 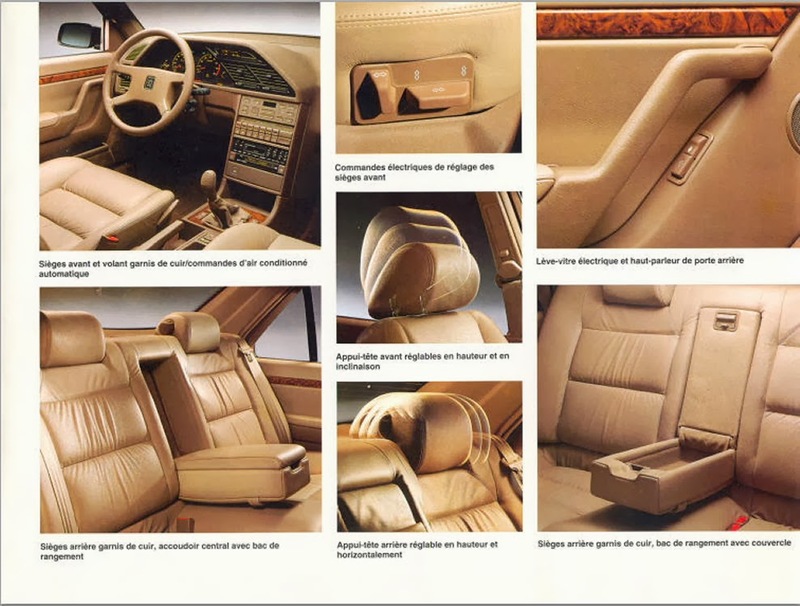 It used the same platform as the Citroen XM but featured much more sedate styling and a conventional sedan body style. The 605 also nixed the XM’s trailing arm rear suspension with Citroen’s famous hydropneumatic self-levelling in favour of a double-wishbone independent rear suspension. The 605 rode a 2.2-inch shorter wheelbase than the XM; total length was 188 inches, or 2 inches longer than an E34 5-Series. 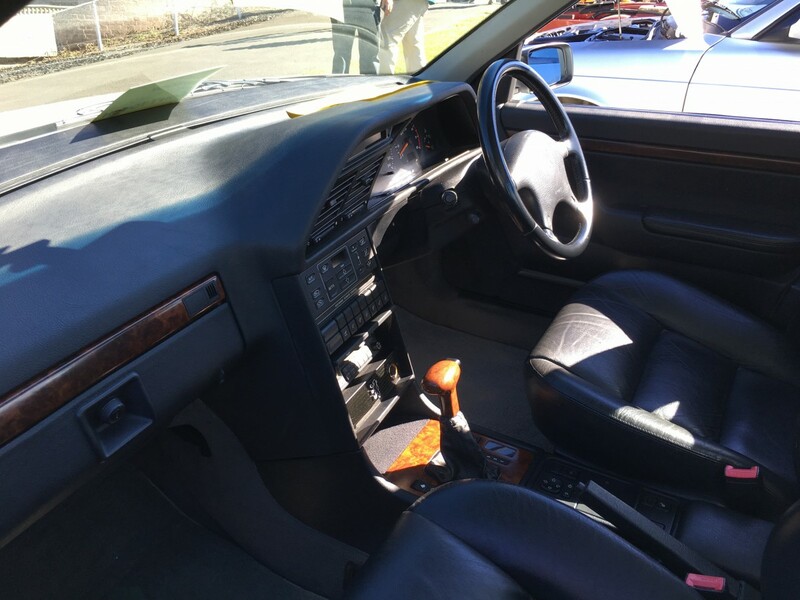 The 1990 605 directly replaced the aged 604 and indirectly replaced the 505, the up-spec variants of the latter disappearing as the 605 reached showrooms. There was a strong familial resemblance between the 605 and the 405 and both were very handsome cars. Alas, for a luxury flagship intended to take Peugeot further upmarket and do battle with rivals from Mercedes-Benz and BMW, such an uncanny likeness was ill-advised especially considering the 405 predated the 605 by a couple of years. Peugeot initially projected 100,000 annual units but the 605’s entire 10-year production run saw just 255,000 produced. It wasn’t just lookalike styling that sabotaged the 605. The big Pug also had an abysmal launch, workers going on strike at the Sochaux plant just as production was starting. The first 80,000 cars that finally left the factory suffered from myriad electrical glitches, some cars stalling and others’ headlights going out. Peugeot recalled them all and replaced wiring looms, exhausts and various other parts. Reliability and build quality eventually were improved but it was too late for the 605, a car that had such outsized expectations placed on it; owners also took a bath on resale value. 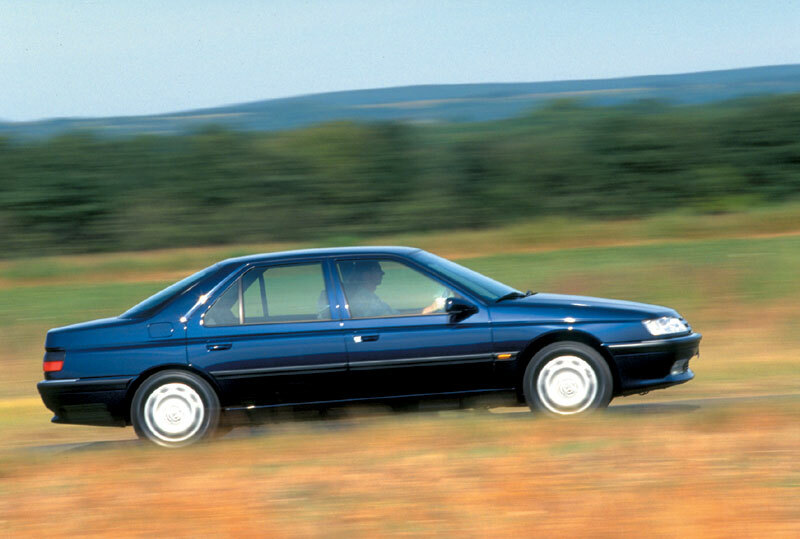 Mystifyingly, Peugeot Australia introduced the 605 in 1994 despite a low appetite here for big French sedans. 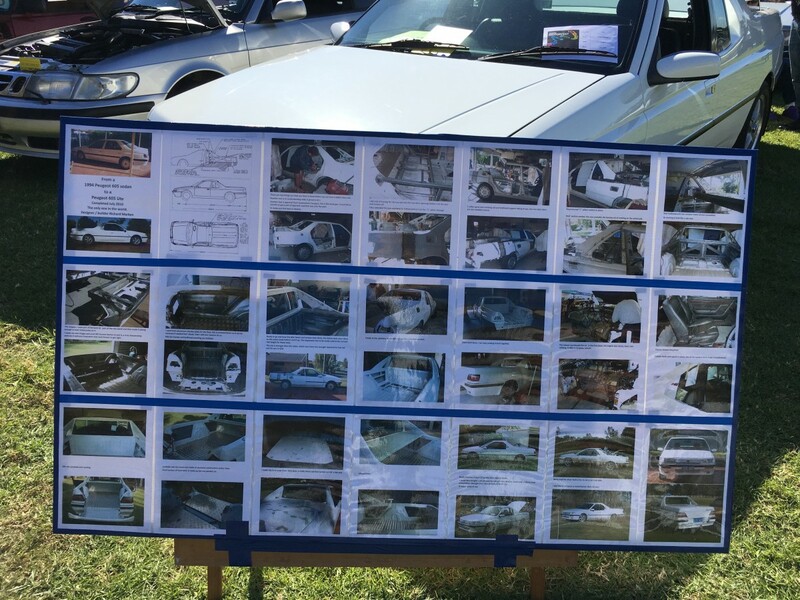 Just 51 were sold between 1994 and 1996 even though it was priced $AUD30,000 less than a similarly-specified 5-Series or E-Class. 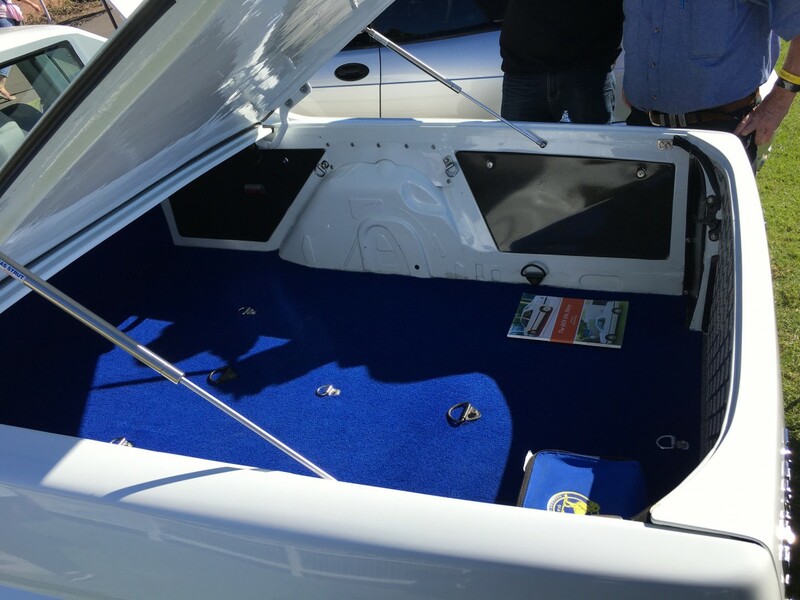 The husband and wife owners of this 605 ute also own four others. It was really quite delightful to see they both seemed equally passionate about their 605 collection. #couplegoals. It was the wife that introduced the 605 to the husband. He was already a Peugeot enthusiast, owning a 403, a 205 GTi and a 504 cabriolet, but he didn’t own a 605 until his wife test drove one and loved it. She’d had an elbow reconstruction and found seats too hard to adjust in other cars… but not in the 605 with its power seats. Others tried to warn her not to get one, that it was a bad idea and that nobody knew how to fix them and she’d spend a bundle on repairs, but she was insistent. The husband and wife’s 605 purchase resulted in them buying four more which they lend out to family and friends when they visit. This ute started out as an ailing 605 owned by a younger gentleman who was on the hook for huge engine repair bills. 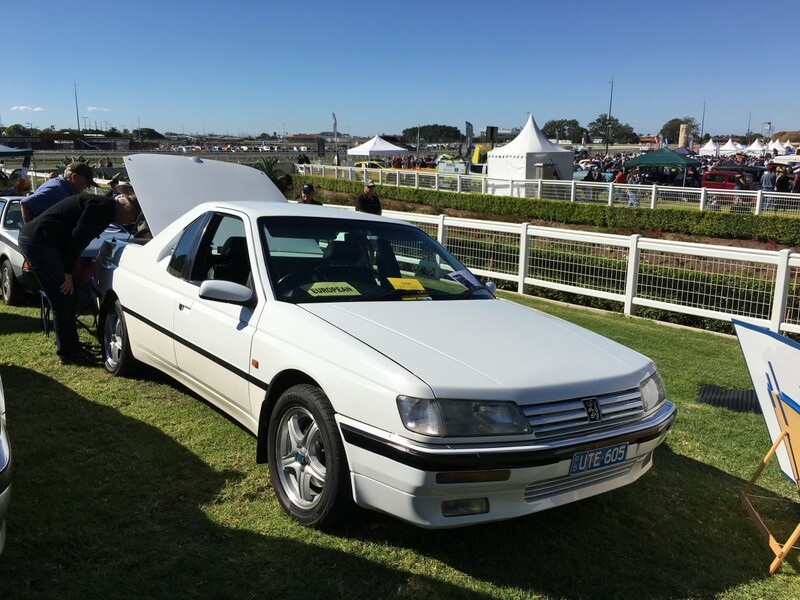 The husband – known in the Peugeot community here as almost a 605 foster father of sorts – decided to purchase the young man’s car for $1500. He knew how to rebuild the engine but then he decided to turn it into a ute so he could carry his trials bike in the back. He wanted a French ute to carry his French bike and, well, there weren’t really any other options. He documented the entire 12-month process. If you’re curious to see how it was done, take a look at the full-size version of this photo. The end result looks quite polished. The best part is this is still a 605, which means a well-appointed cabin. These were sold here only in top-spec 3.0 SV guise with a 12-valve 3.0 V6 (descended from the PRV V6) producing 164 hp at 5600 rpm and 173 ft-lbs at 4600 rpm. 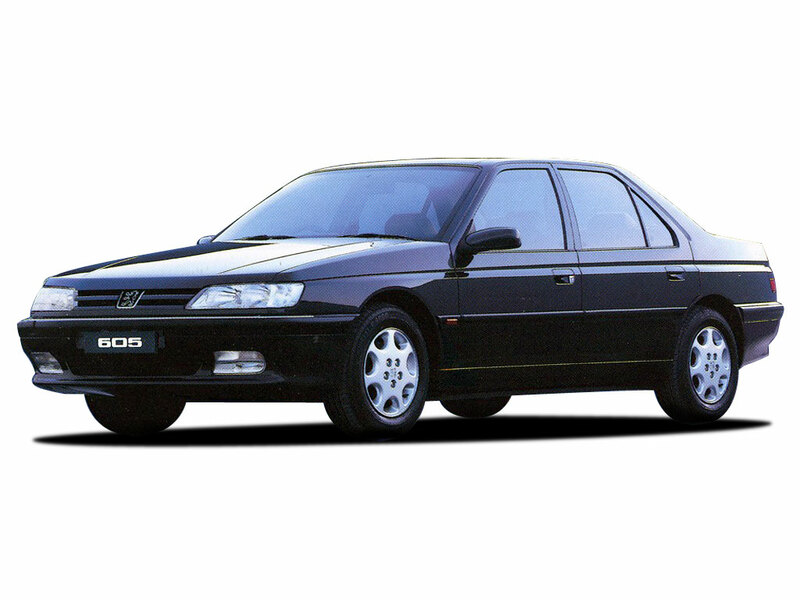 In Europe, the 605 was also available with 2.1 and 2.5 turbodiesel four-cylinder engines and a 2.0 petrol four in both naturally-aspirated and turbocharged versions. The most exciting 605 was probably the 3.0 SVE, available with a five-speed manual; the least desirable is the naturally-aspirated 2.0 diesel seemingly designed for taxi duty. The 605 was widely praised for its driving dynamics. That’s notable considering it was a large, front-wheel-drive sedan competing against the best from Germany. 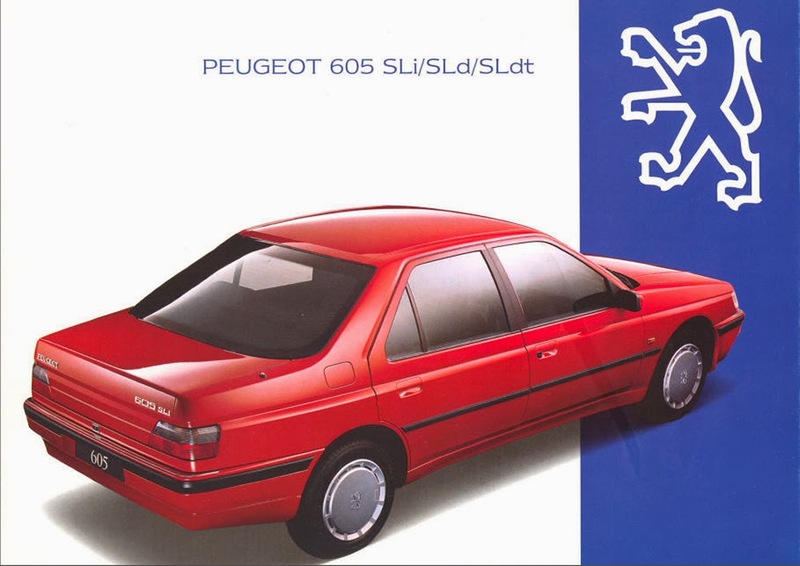 And although it lacks the XM’s hydropneumatic suspension, the 605 has a wonderfully pliant, quintessentially French ride while still offering adroit handling. 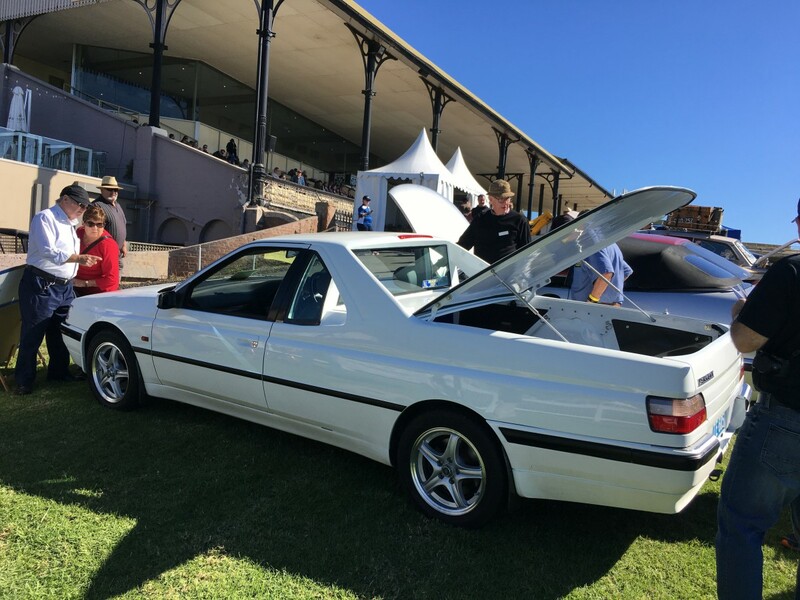 This year’s RACQ MotorFest had everything from AMC Matadors to MG Magnettes to WIllys Aero Sedans but this 605 is the car that most captured my attention. Sometimes it’s hard enough to meet people who’ve heard of the Peugeot 605, let alone two people who are so passionate about them. In my eyes, this couple had the best in show. Not a bad conversion. The 605 is probably the least interesting big Pug ever devised, so at least this makes it kind of interesting. I’m sure there are some that escape, but not many! A few weeks back I saw a Suzuki Grand Vitara that had been turned into a ute. Mind you it was on a trailer because it looked like a dedicated off-road rig and perhaps no longer road legal, but nonetheless a ute! That would make it “Le Chemin”. Or perhaps éleveur. I think éleveur is closer, as this reminds me more of the LTD II Ranchero than an El Camino. Quite well done. It’s a bit hard to imagine spending so much time and effort to create something like this, but to each their own. I like the flying buttresses. A very stylish Ute. Yes, stylistically there was little between the 405 and 605; very much an evolution of the same style, the next progression being the 406. After that Peugeot styling lost its way for a long time. I like the flying buttresses too, just like the handsome 1997-2003 Peugeot 406 Coupé. 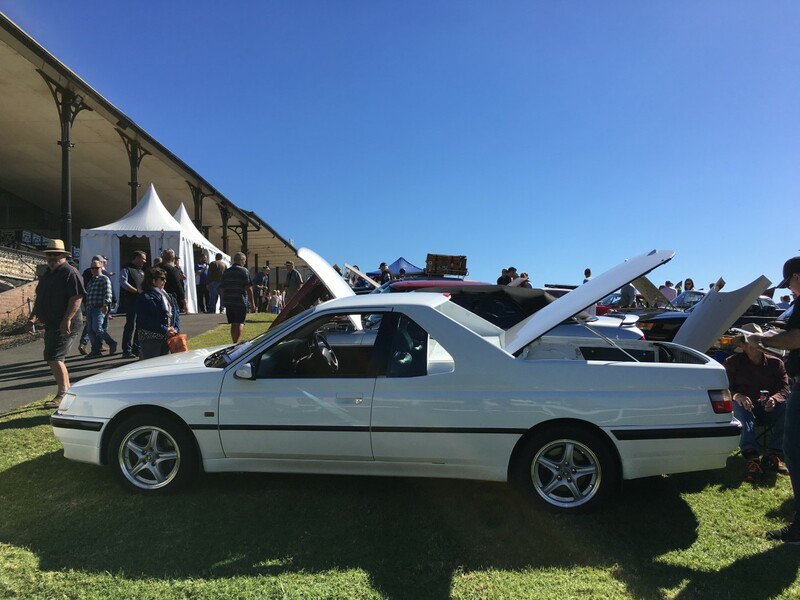 Nice, Rare are they thats odd I saw one tow days ago in sedan form and diesel going just fine, never seen a ute, I prefer the 405 best in turbo diesel very agile great riding cars and no you wont stay with one on a twisty road in virtually any other sedan. As a side note there was also a 24 valver – at least here in Europe. I believe the 12 was called SV3.0 and the 24 SV24. That made it look like the one with the 24 badge was inferior to what looked like a “30” badge from a distance. The 24 was substantially more expensive than the 12. As much as I’ve heard about Peugeot cars, I’ve never driven one. Back in the ’70’s, however, I had a Peugeot bicycle. My dad sold them at his bicycle dealership. Er, couldn’t they just have bought a 504 ute? I have seen a 605 stopped across an intersection in traffic some years back, noticeable because my first thought was “There’s something off about that 405.” The 405 is a good-looker, where these fiddle with the theme enough that they end up a bit clumpy and bland. A 405 suffering from gigantism. Still, Frenchy seats, ride and handling but powered by a smooth six (instead of underpowered by one of many French gravel-mixer fours) is always to be encouraged. For sheer devotional eccentricity, it is the car of the day, this Peug-ute. There aren’t many 504 utes in the country, they were not sold here.